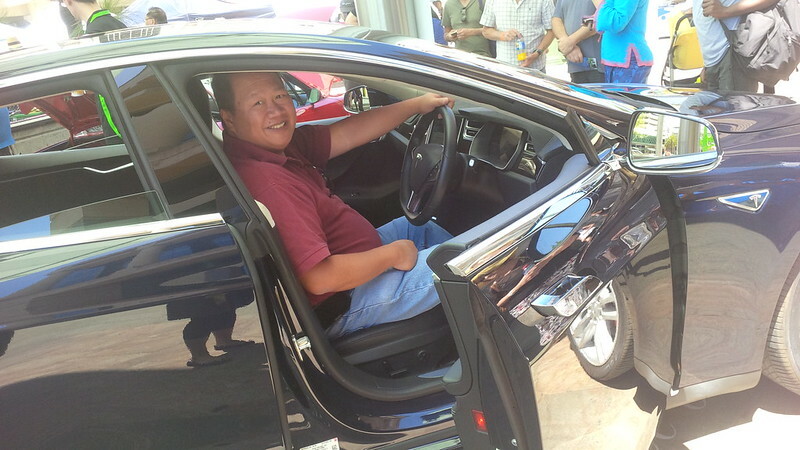 Even before our many roadtrips in the Model S, we used to fly all over the place. 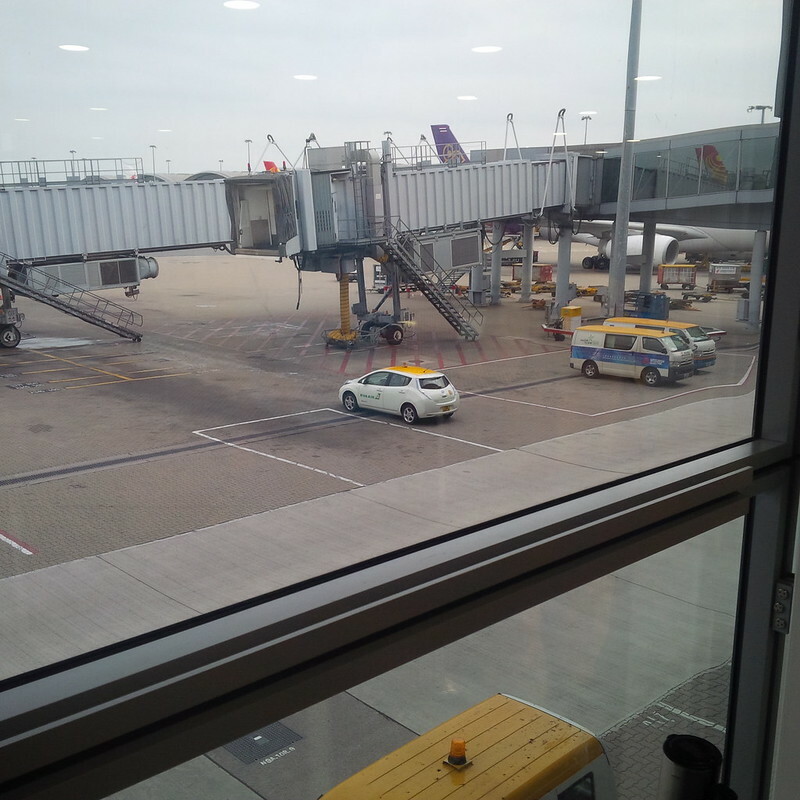 However, the past few years, we’ve done more driving than flying. 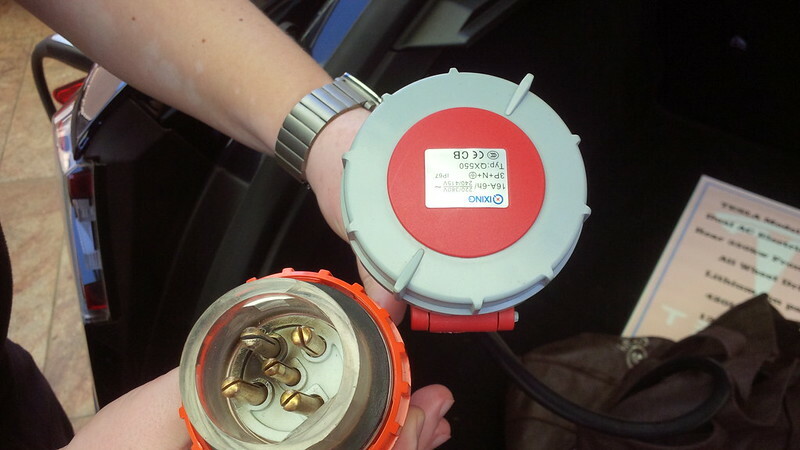 When we went on airplane trips, we always made note of EVs and EV infrastructure wherever we went. 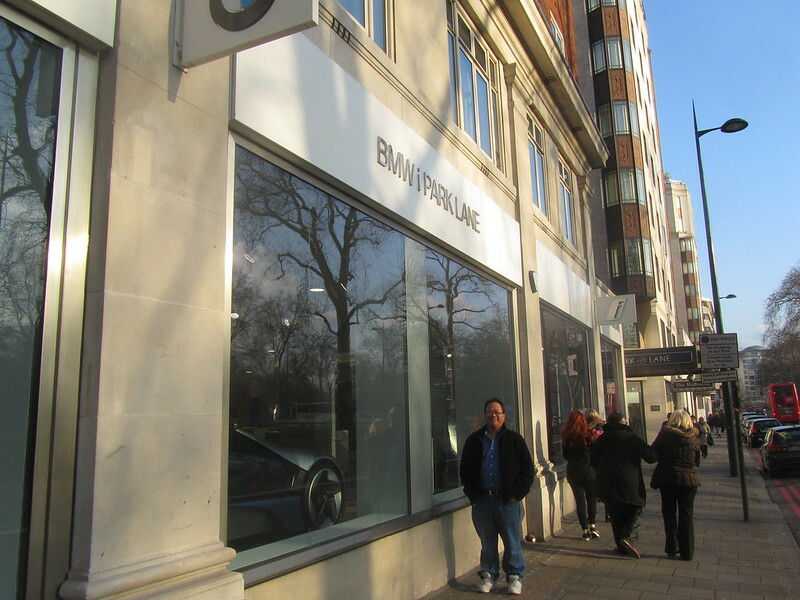 From visiting the BMWi Park Lane store in London when the BMWi brand was still in the concept stage. 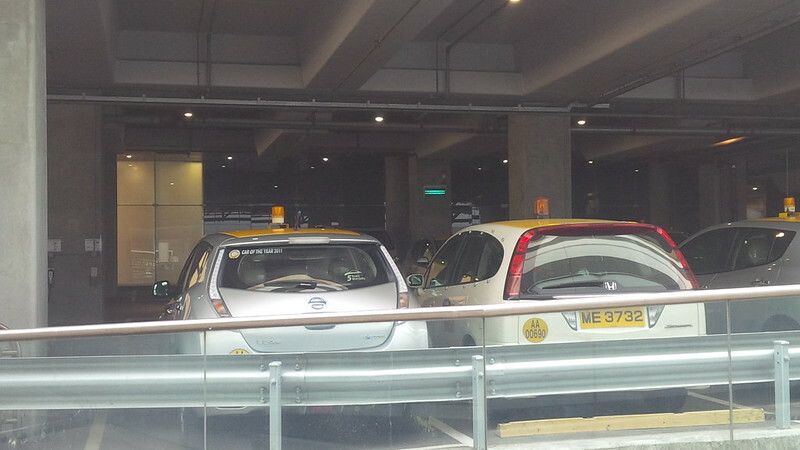 To spotting Nissan Leaf at Hong Kong airport. 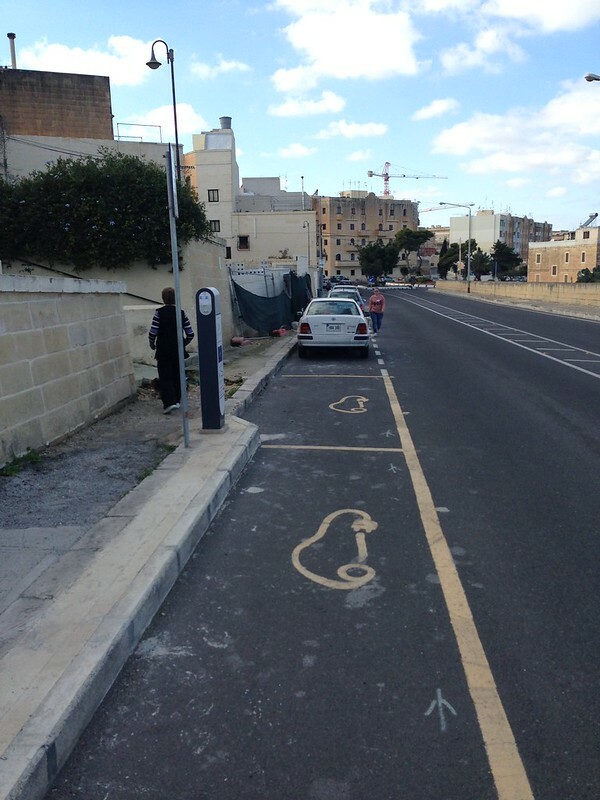 To EV charging stations throughout Malta. 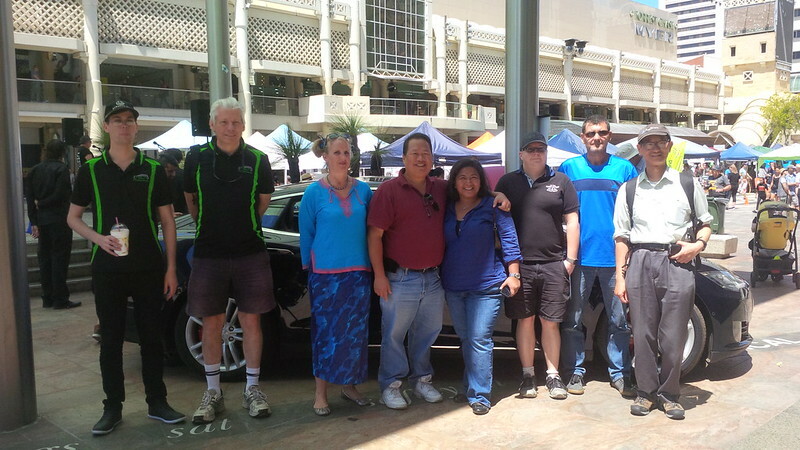 One of the things that I tried to do during the past few years was to catch up and have dinner or lunch or whatever with someone that I’ve gotten to know in the International EV community. First it was one-on-one meetups with specific people when I visit a country. And then, last year I figured that it would be more fun to get together with groups of fellow rEVolutionaries on my International trips. 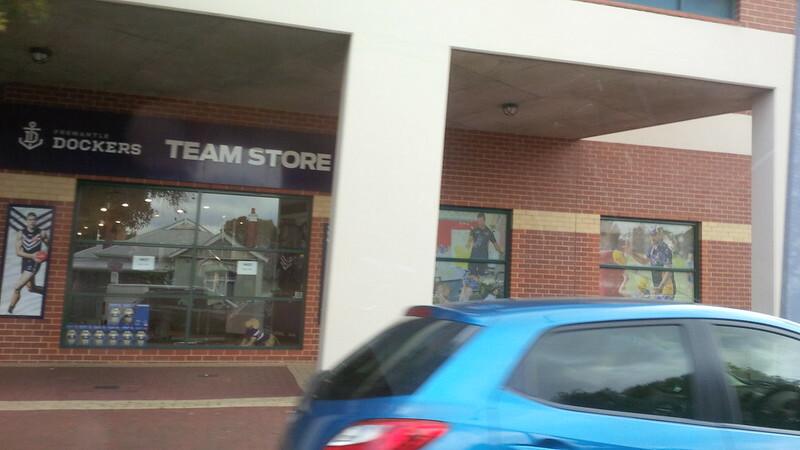 Last year, while visiting England for Rugby World cup 2015, I figured to send a message out to meet up with the EV community in the UK. I’m pretty active on the Speak EV forum, even volunteering as a moderator. 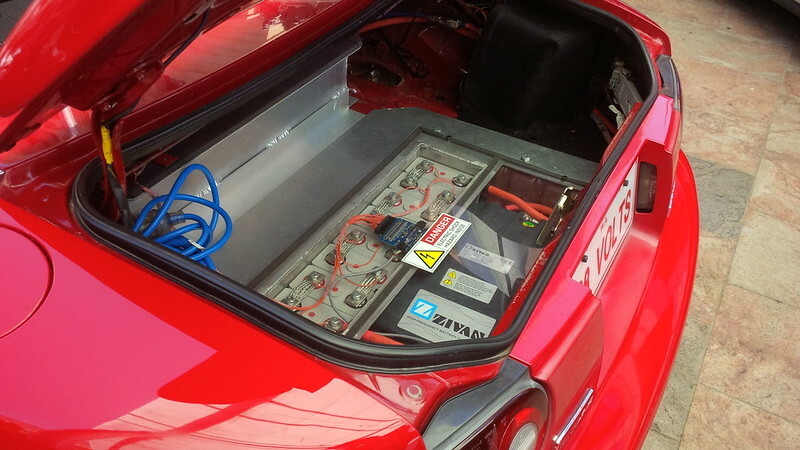 Speak EV is a great forum for EV enthusiasts because it is not focused on a specific brand of Electric Vehicle. 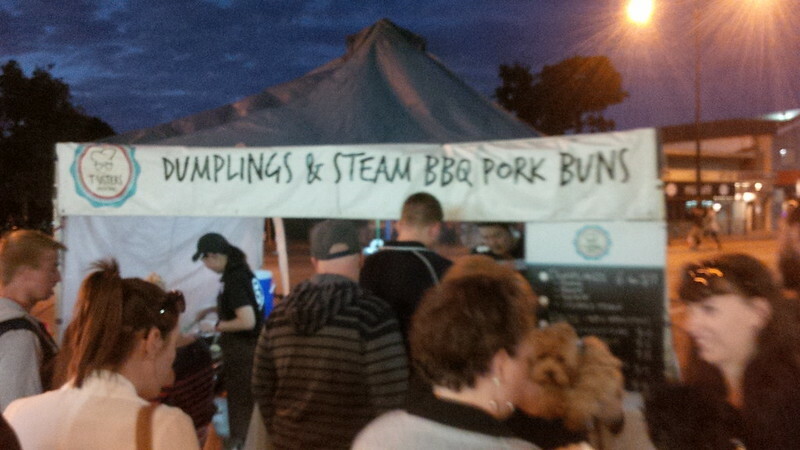 Many of the really popular ones are. 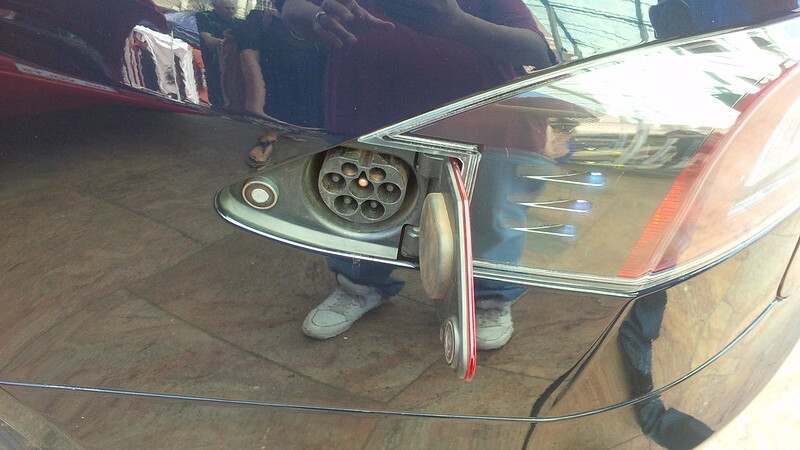 But Speak EV is different and that’s what I like about it. 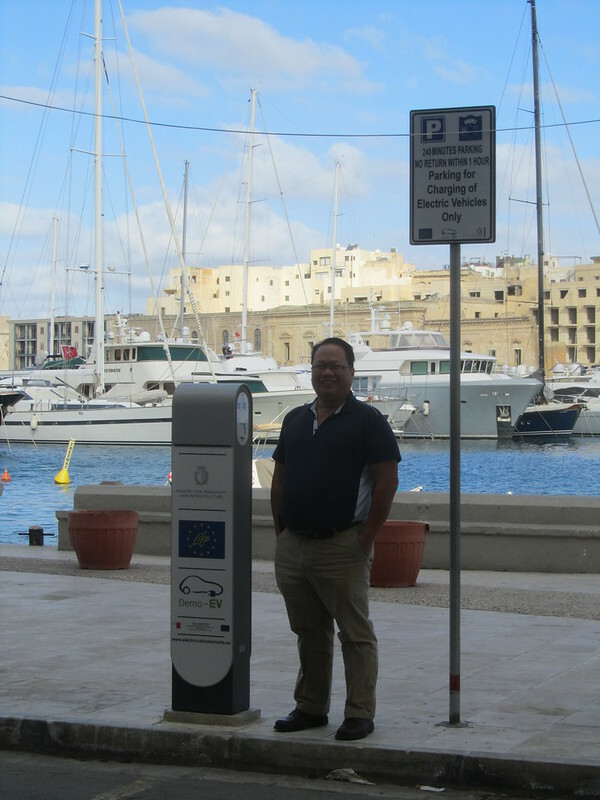 The owner/operator for Speak EV is British and many members are from the UK, the presence outside of the UK is mainly Europeans, though there are quite a few of us from this side of the Pond. 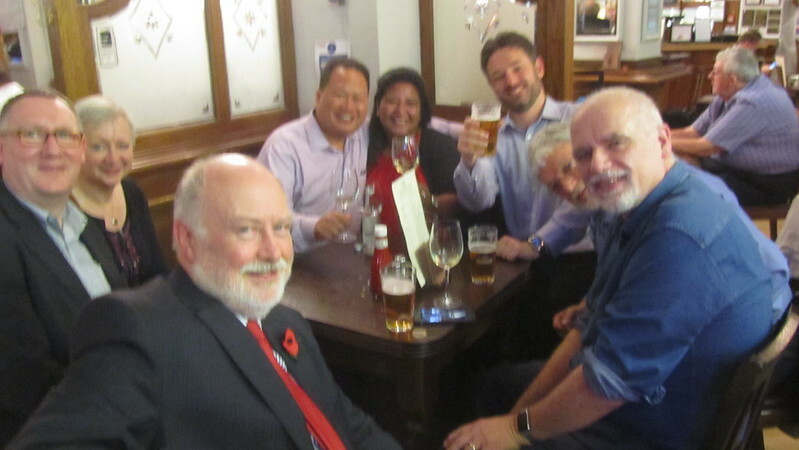 I started a thread last year to invite folks for this get together that I called the TransAtlantic EV Social and Drinks. 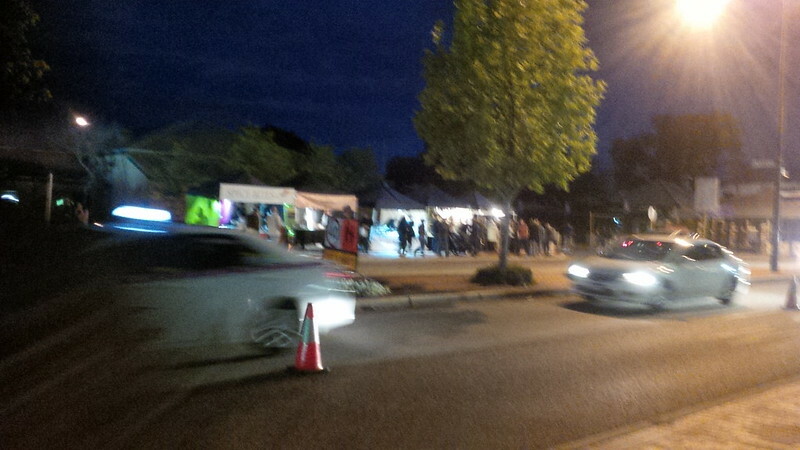 Here’s a panorama that was taken by Tim Ostler at the event. 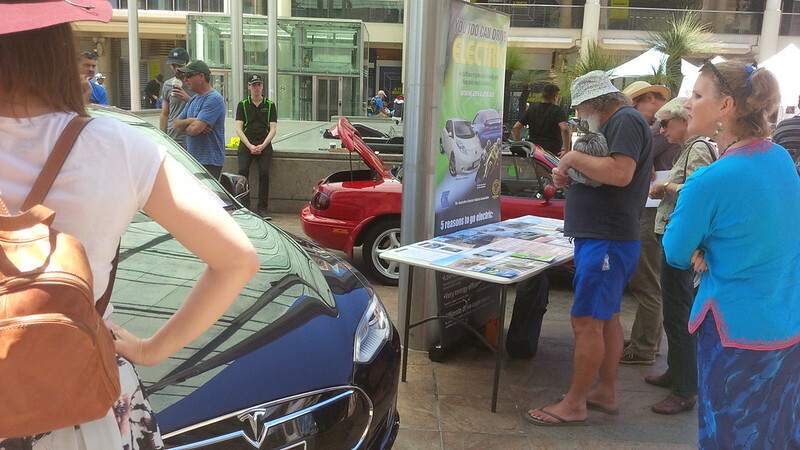 It was funny because it was an EV Meetup without the EVs. 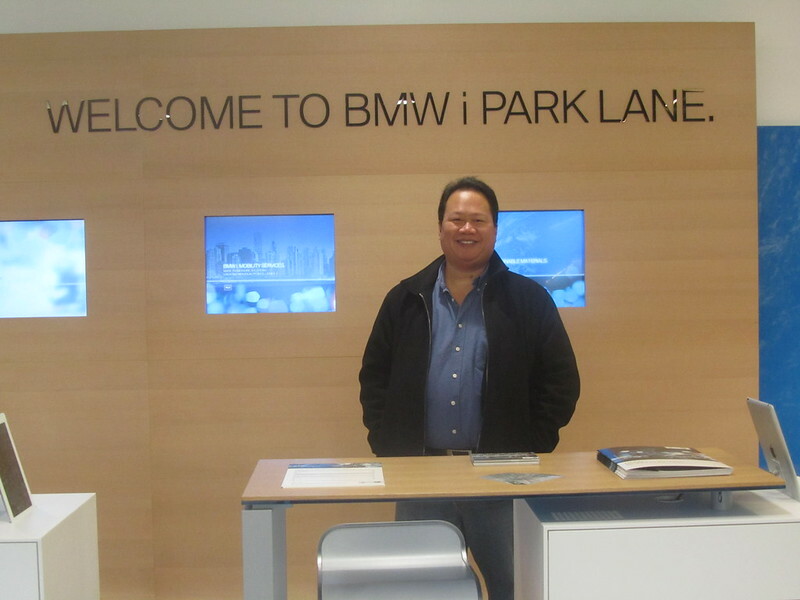 We all had a great time and I truly enjoy comparing EV experiences with folks in different countries. 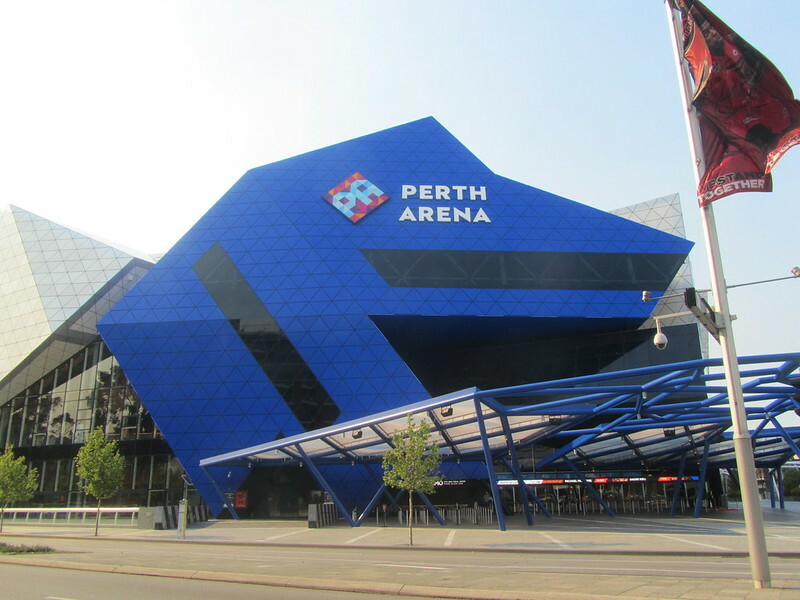 So, last month, we decided to take a trip to Perth, Australia. A distance of 9,528 miles from Los Angeles via Sydney, Australia. 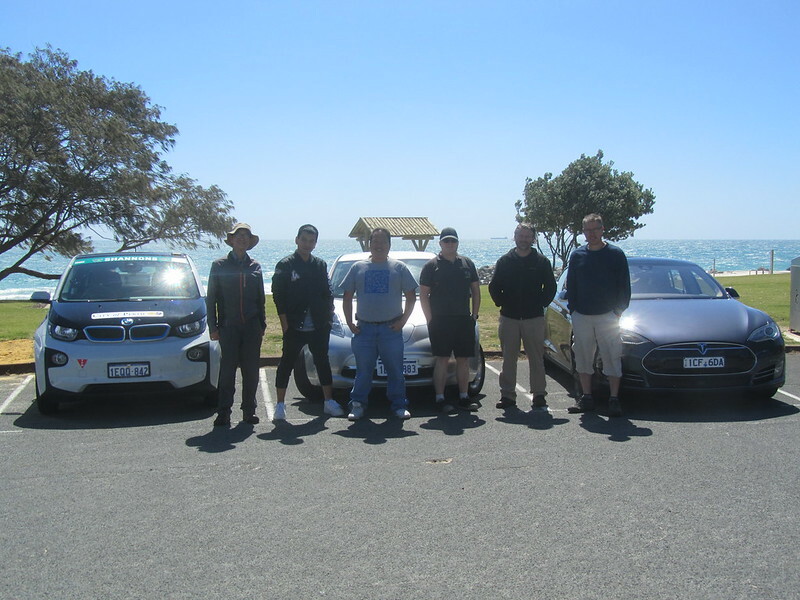 Now, I started off by reaching out to a few guys on Twitter who happen to be involved with the AEVA West Coast branch (Australian Electric Vehicle Association) I also figured to reach out to the Tesla Owners Club of Australia and via a post on Teslamotorsclub.com. We haven’t been to Perth since 2005 and it was a chance to spend time and visit my godsiblings and the new baby that joined their family. 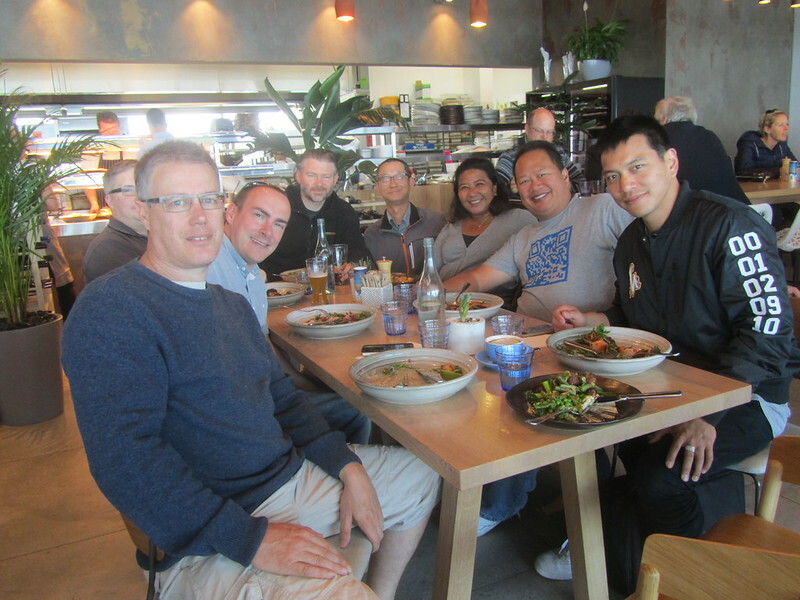 So, on Thursday, October 20, 2016, we had a meetup at the Odyssea Restaurant at City Beach. From left to right: Antony Day, Christopher Cook, Matt (@MDK on TMC) [partially blocked], Chris Jones, Joseph Law, My better half, Me, and my godbrother Aaron. My godbrother chose the restaurant for the food and service, but also for the large parking lot so that we can take these sort of shots. 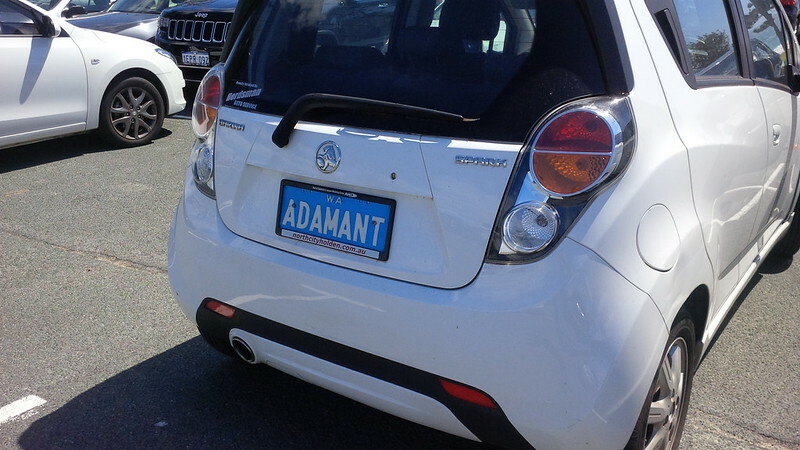 Not an EV, but a cool vanity plate. 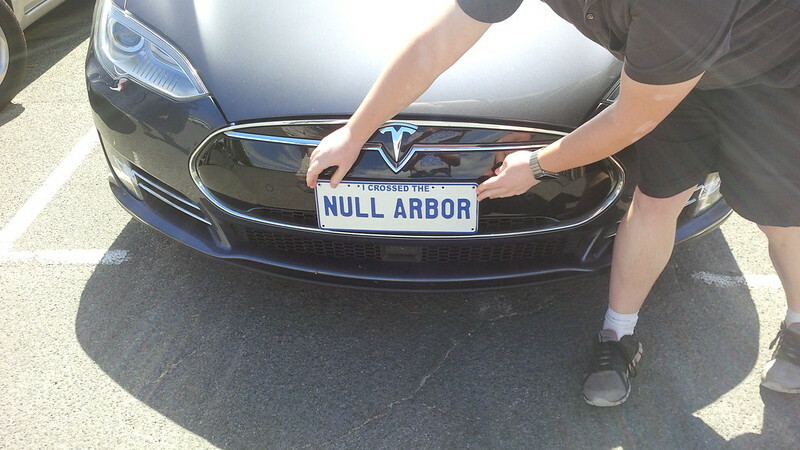 He was the first EV to cross the Null Arbor part of Australia. 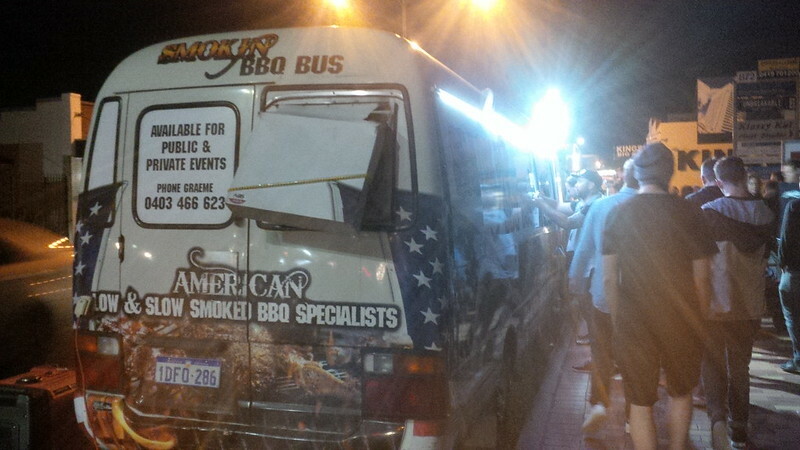 Basically, the Outback for thousands of kilometers on his Perth to Brisbane and back trip from earlier in the year. For those of us in the US, that’s like crossing the Us from San Diego to Baltimore and back. 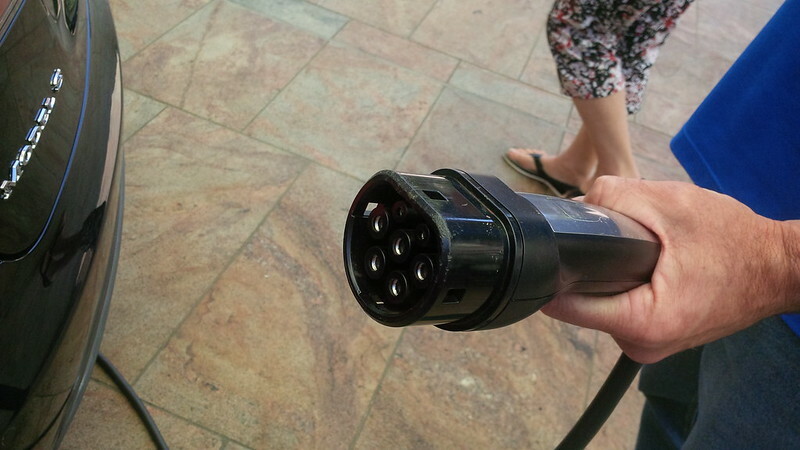 Where the only supercharging available would be the original one in California. 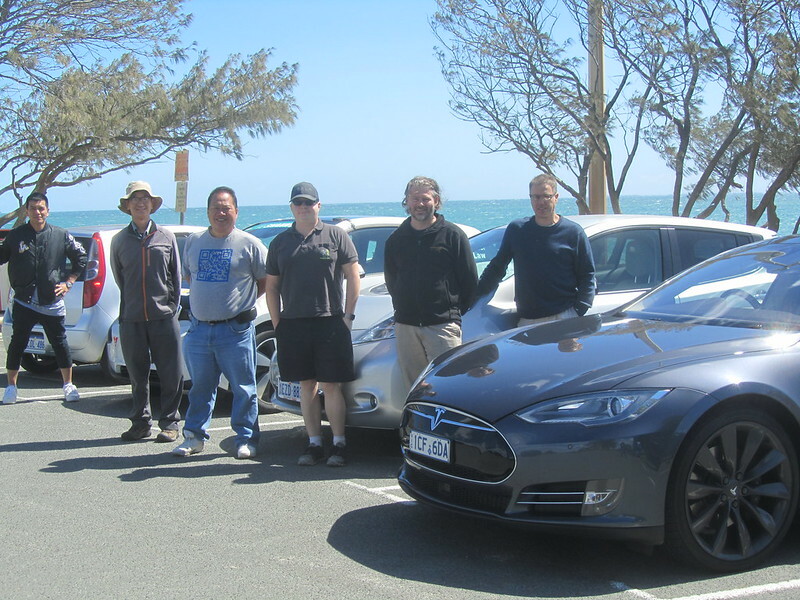 Luckily, Australia has a lot of three phase power and Matt has an older Model S that can still make use of the 22kW available on dual charging. 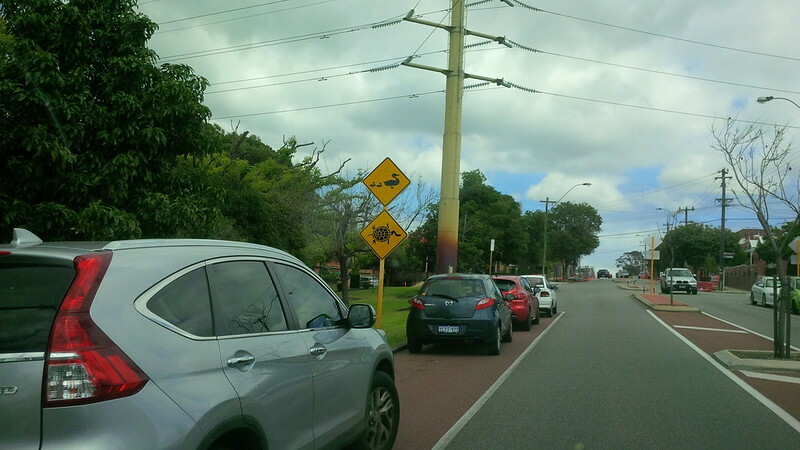 Besides, it’s always fun when we visit different places and spot interesting road crossing signs. Our first trip to Australia in 2003, we had my godparents drive us all over WA to look for a Kangaroo crossing sign and tried to capture a Kookaburra sitting on a gum tree. 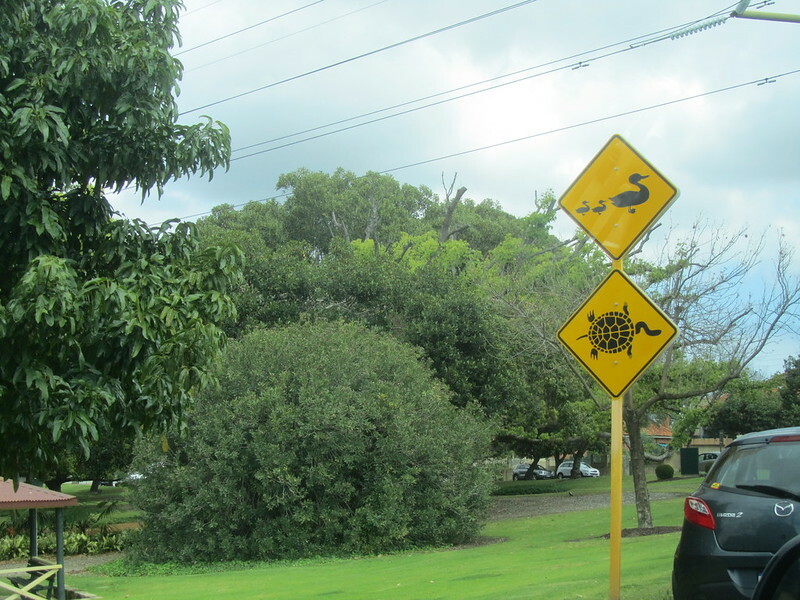 We’ve been to visit Oz many times since, so I didn’t go out of my way to spot any of these things… However, whilst out and about the city, we did spot some interesting signs. 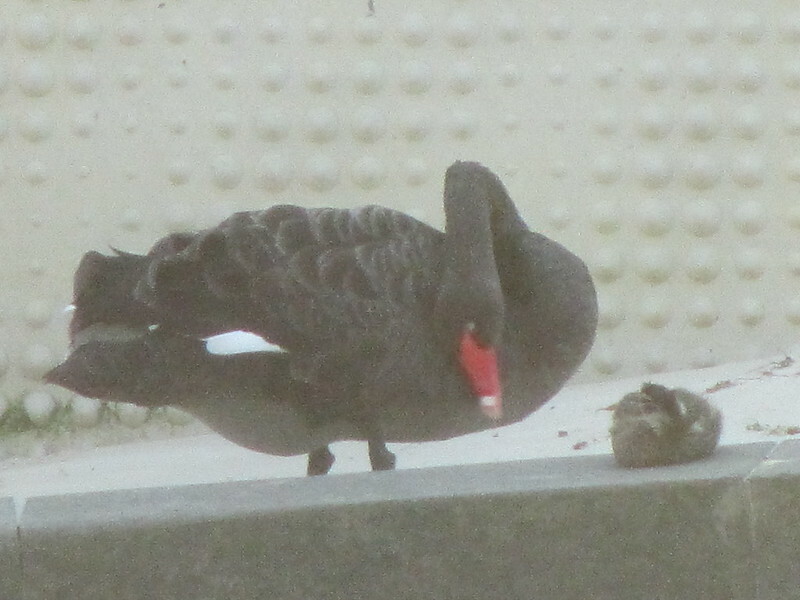 Spotted the ultra aggressive Black Swans that the river in Perth was named after. Funny enough, our first trip here over a dozen years ago, we were chased by a Black Swan, so my better half took this shot using the zoom lens on her camera. 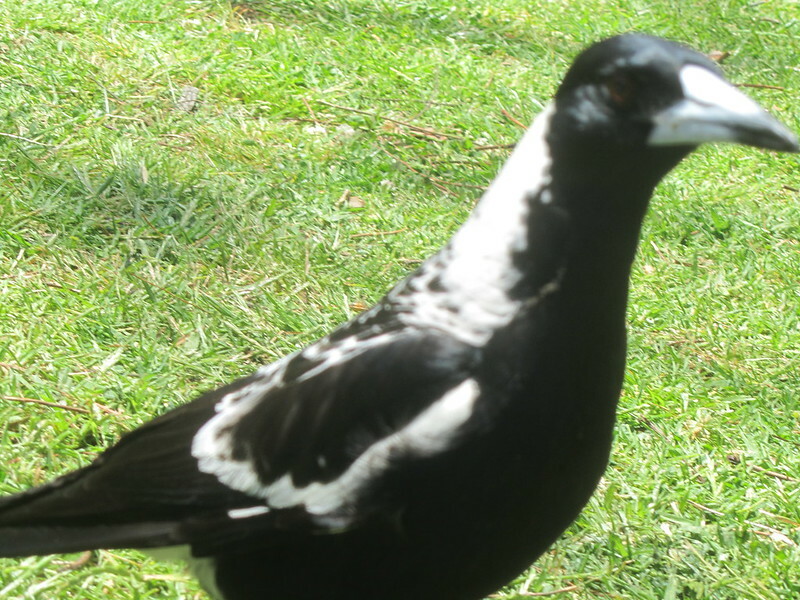 Also get to see a magpie… And now I understand why the Collingwood Magpies have them as a mascot. This particular bird was also unperturbed by our presence at the park when we were hanging out and enjoying time with our godsister’s new baby. 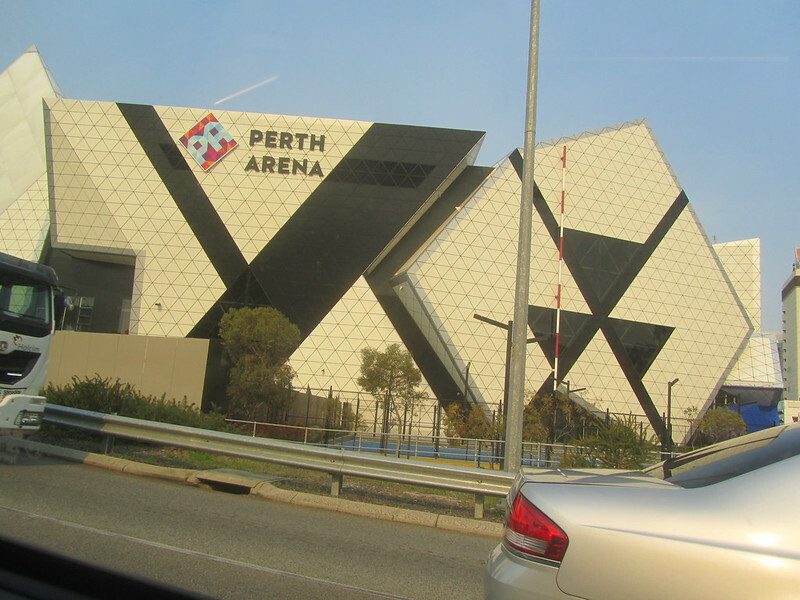 On the Friday of our visit there, we went to catch a basketball game at the Perth Arena. 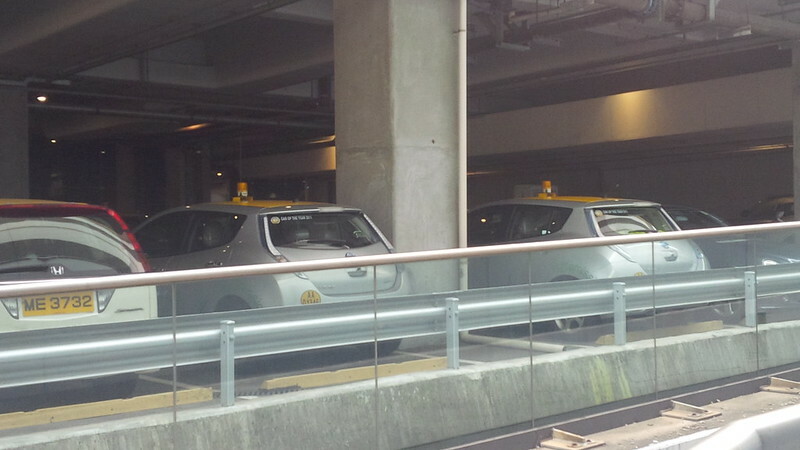 We parked in the parking garage across from the arena. 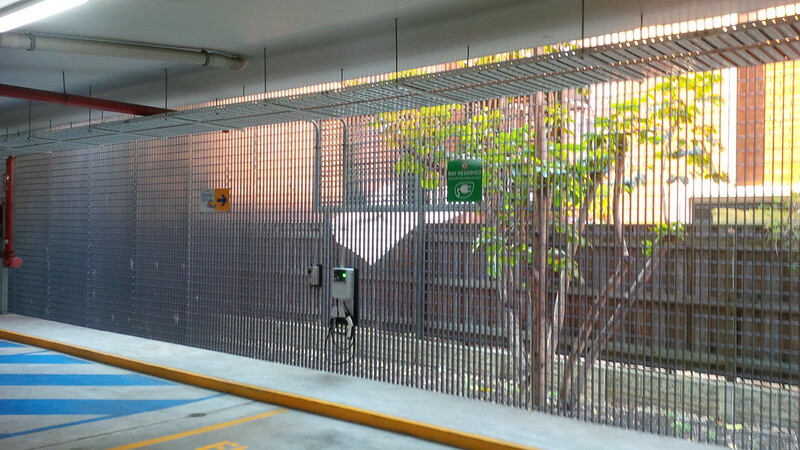 I was impressed that the parking garage had several charging outlets as well as a dedicated EV charging bay. 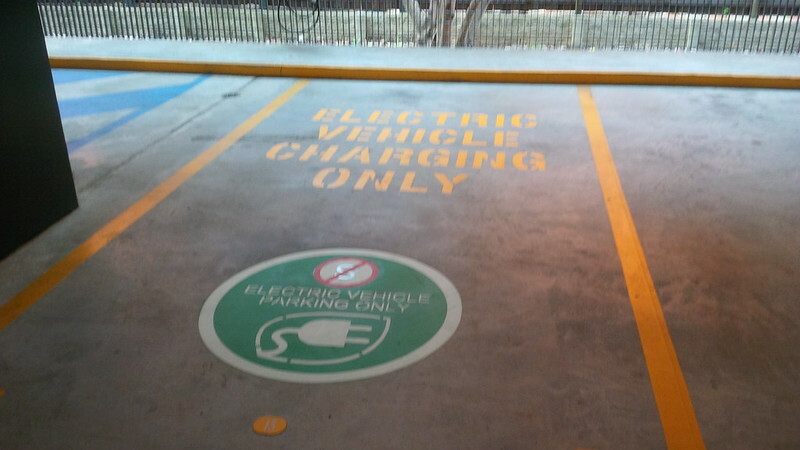 The one EV charging bay was respected by the ICE drivers and the first-come-first-serve spots that had plugs still had a spot available for another plug-in vehicle to use. 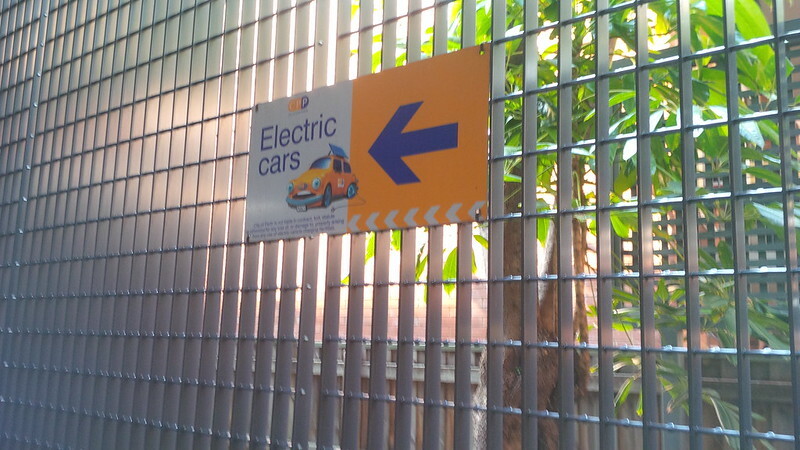 Since these are first-come-first-serve and not dedicated to EV charging, it was perfectly fine for ICE cars to be using these spots. 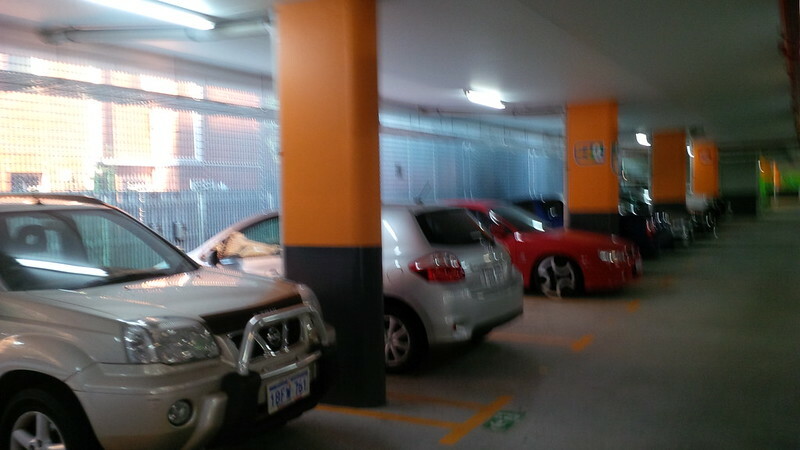 And many ICE vehicles did take these spots, but at least respected the dedicated EV spot. 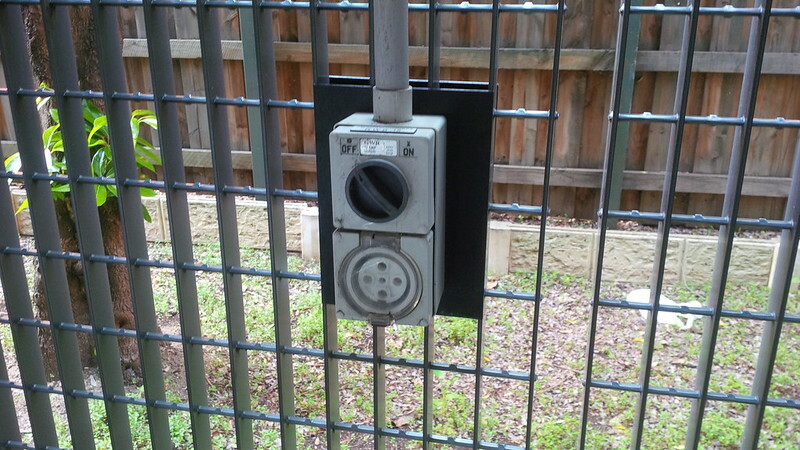 This means that as EVs proliferate in their city, they can start claiming those outlets for EVs easily. 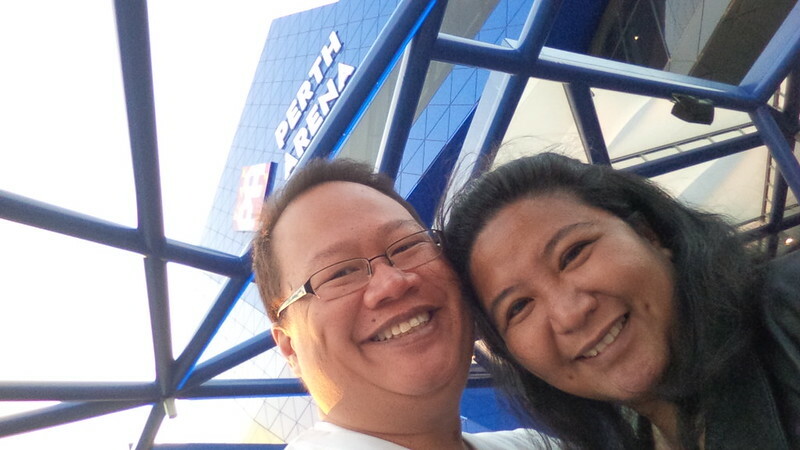 The basketball game itself was quite fun and the Perth Wildcats won that game. 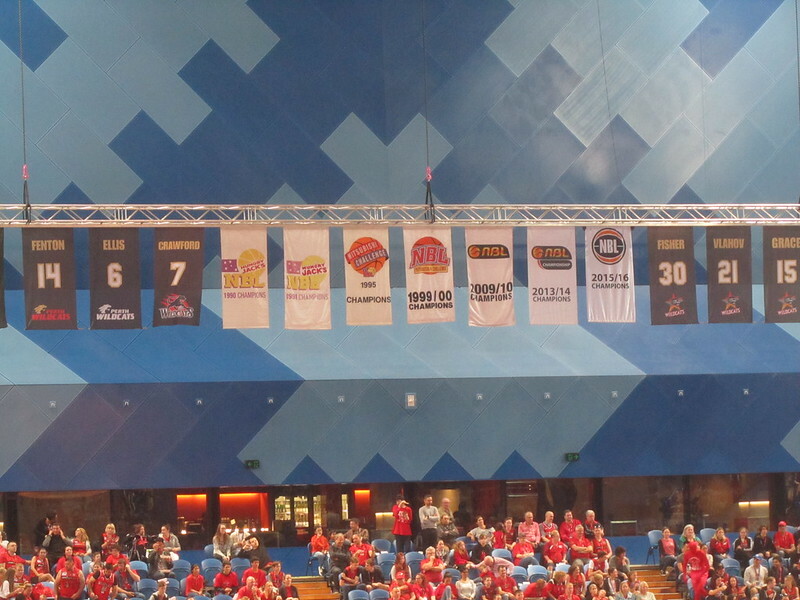 It was impressive to see the winning record and staying power of the Perth basketball team in its league. 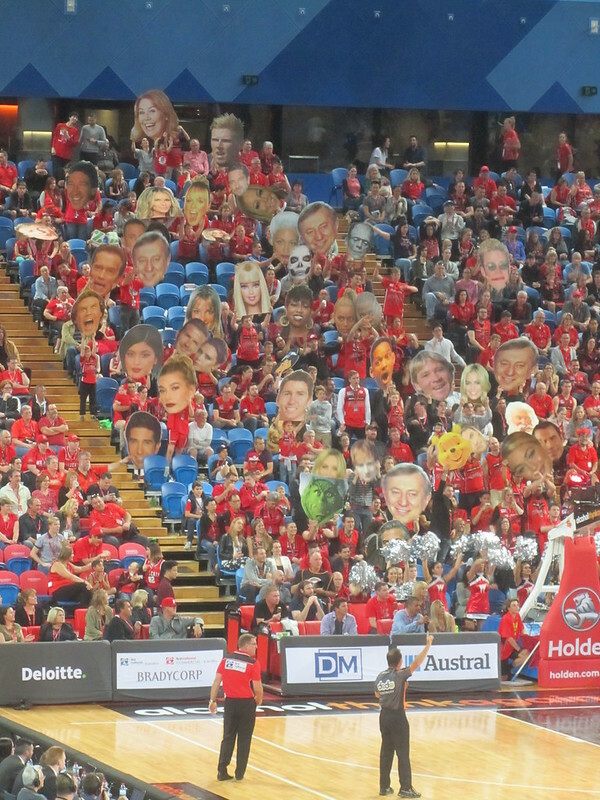 It was also quite entertaining seeing the different things that fans do at these games vs. the NBA. Those crazy huge head signs would not be allowed in the NBA by the competition committee. 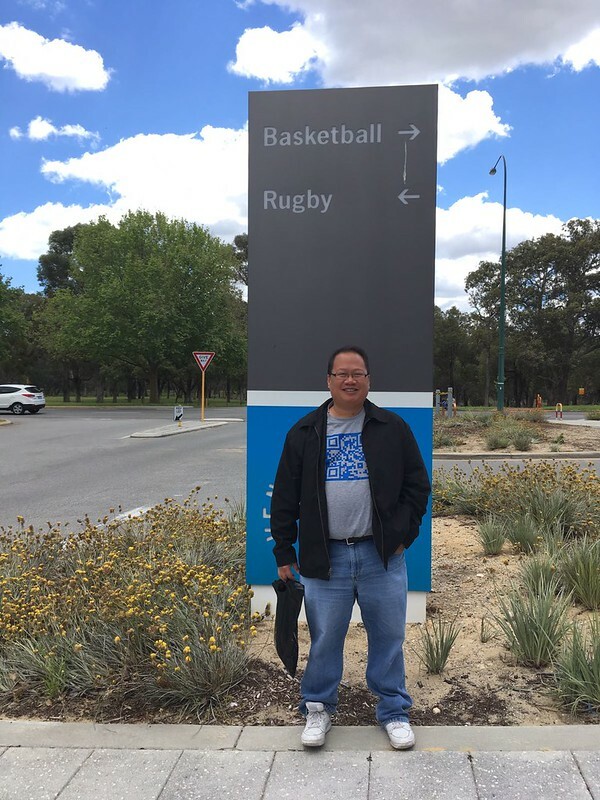 Unfortunately, the Super Rugby and AFL were out of season, but I did get a chance to see their various organizations represented. 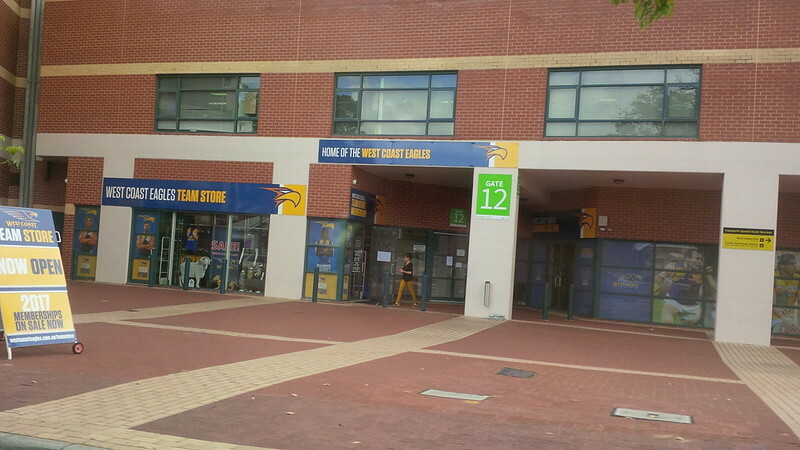 The Perth Spirit, which is the division below the Western Force Super Rugby team actually had its players getting ready for their trip to the Grand Finals (which they won as an away game over the weekend of our trip to Perth.) Perhaps we brought them luck. 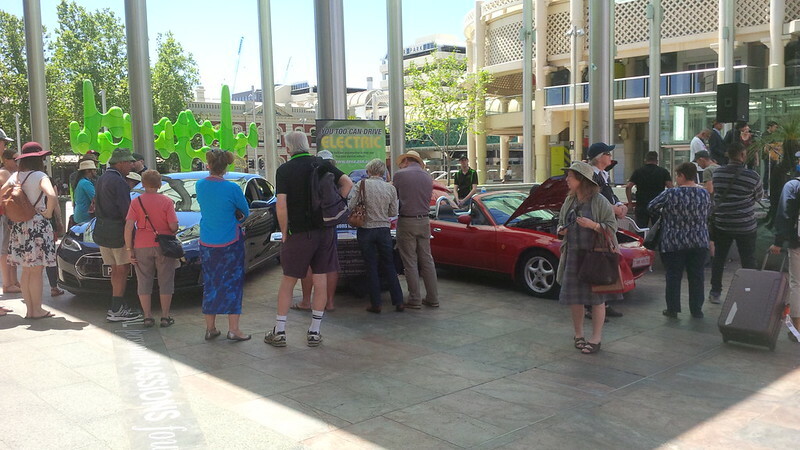 Later that weekend, we took time to speak with some of the same AEVA crew as they did their EV advocacy at the Perth Spring Eco-Fest in Perth’s Central Business District (CBD), or “downtown” as we would call it in LA. 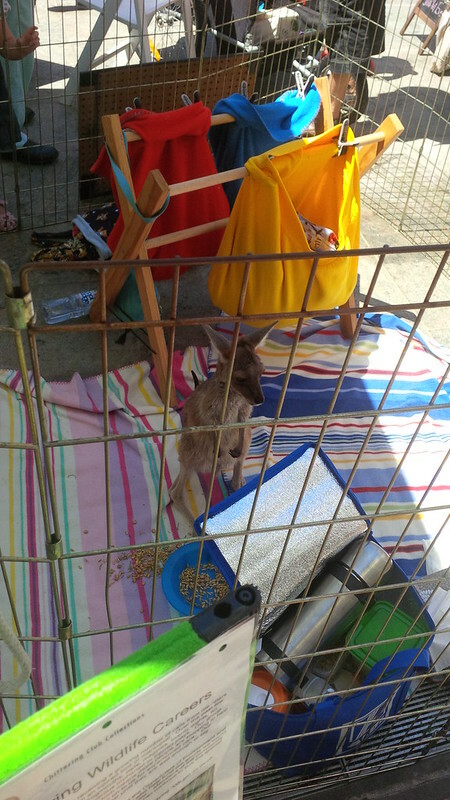 It wasn’t all EVs, got to see a really tiny Joey. 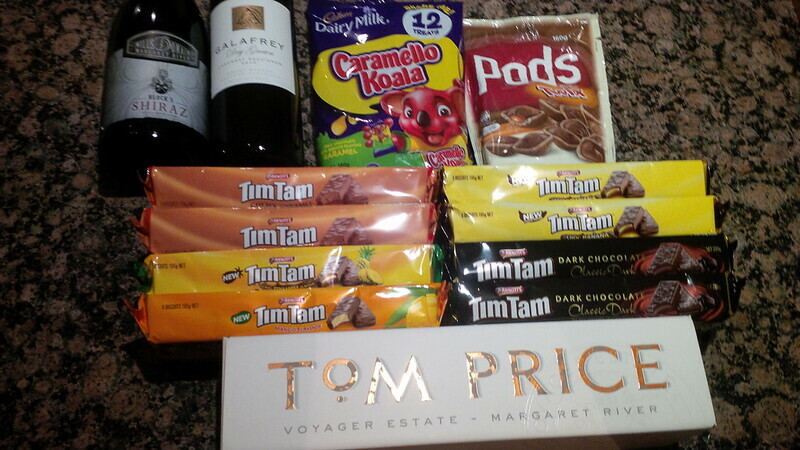 Which made me a little guilty that I had the kangaroo at lunch the other day with the AEVA. 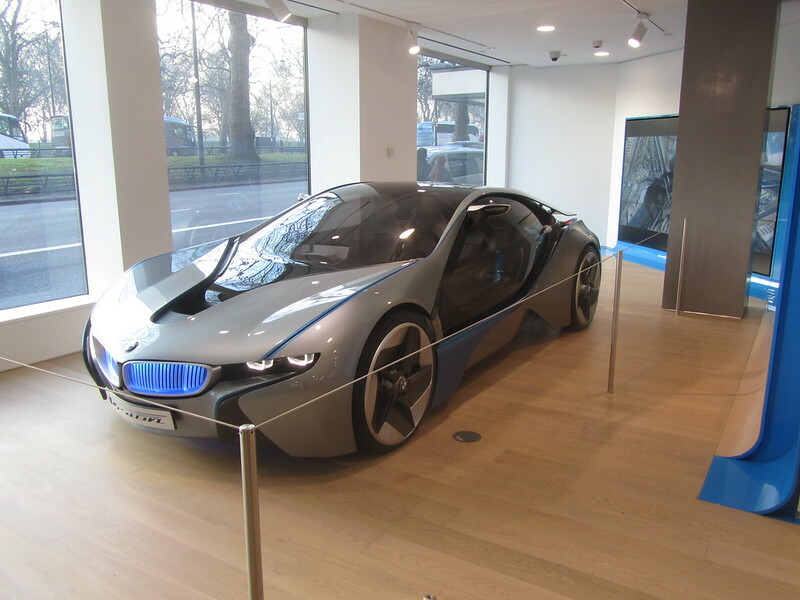 And one that has the same color as our Model S at that. 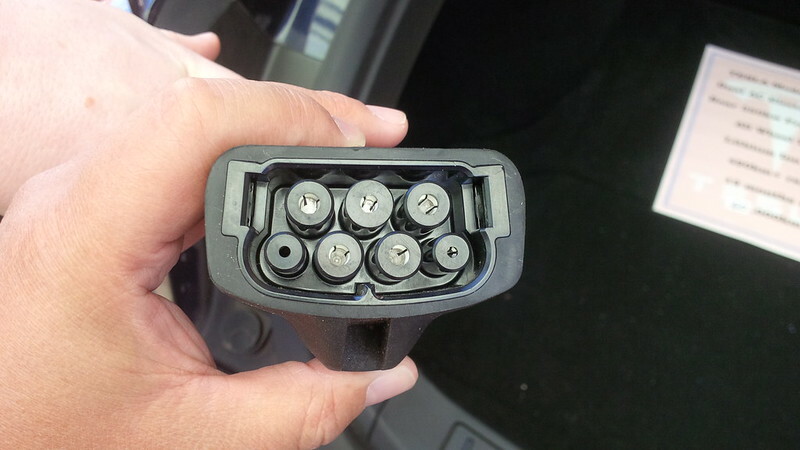 Got to see all the different charging plugs that the guys in Australia use for their Model S. Especially in Perth, where there is no supercharging network. 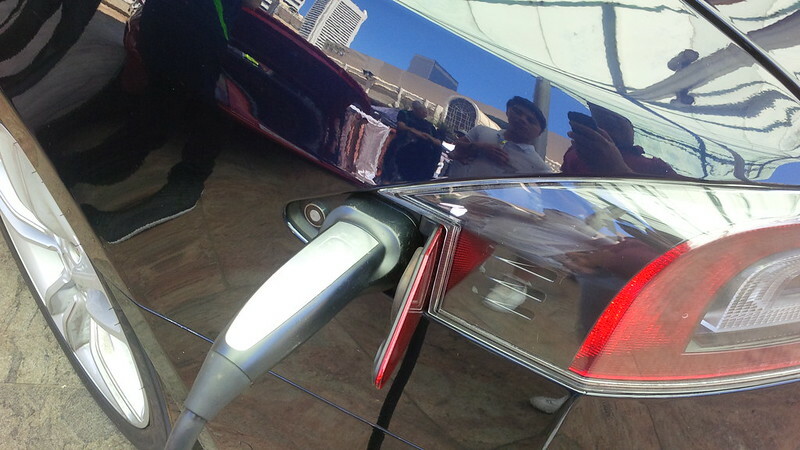 The charging port is on the same side of the car as the US Model S, which means the driver has to walk around to get to it. 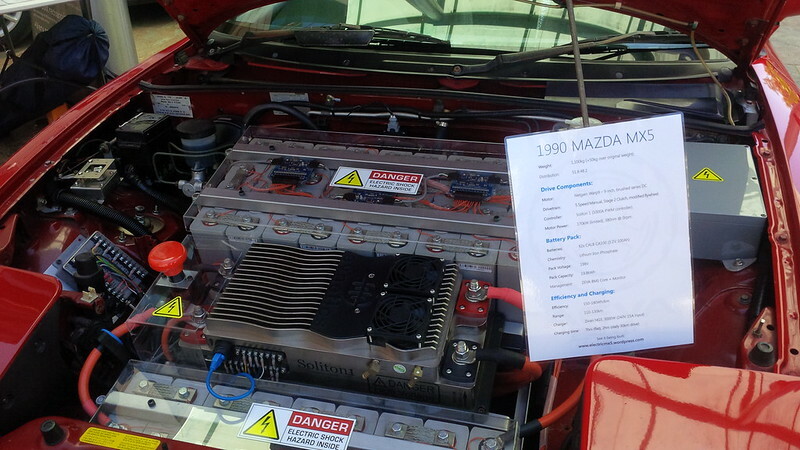 EV conversions still have a big presence in the Australian EV scene as is evidenced by this Mazda Miata. 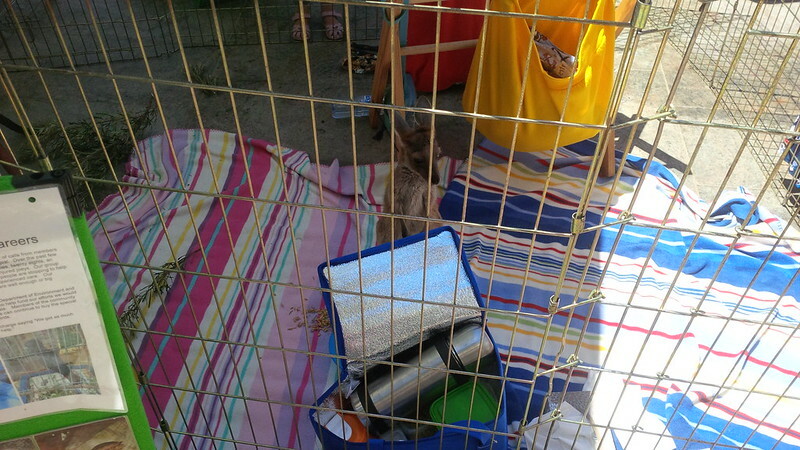 We took a photo with the fellow rEVolutionaries at the Spring Eco-Fest. From Left to Right: Mitch Bisby, Bruce Armstrong, Robin (or is it Robyn) Dean (Mrs. Blue Heaven on TMC), Me, Better Half, Matt (MDK on TMC), Rob Dean (Mr. Blue Heaven on TMC), and Joseph Law. Unfortunately we didn’t get to be properly introduced or speak with Mitch and Bruce, but had a great time chatting with the others. 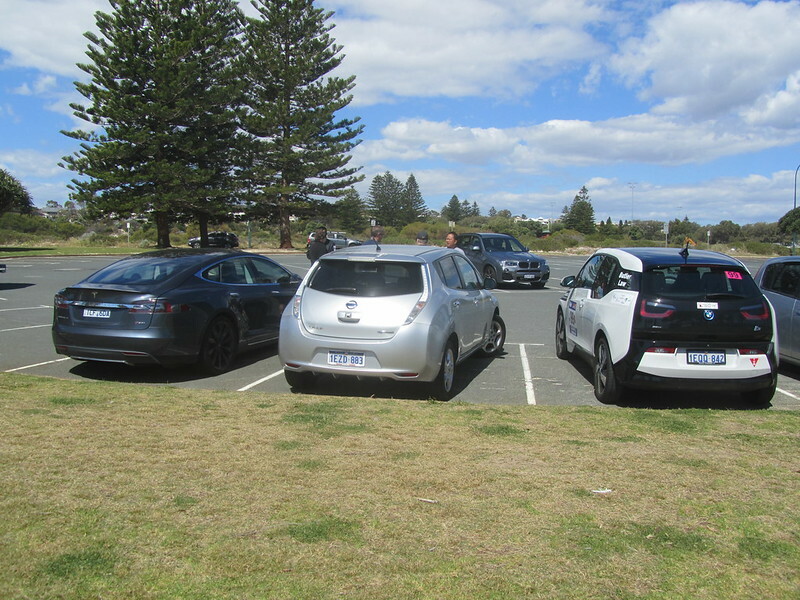 It’s interesting to note that many of these rEVolutionaries in Australia had decided to switch to EVs without any of the incentives available to those of us in other parts of the world. 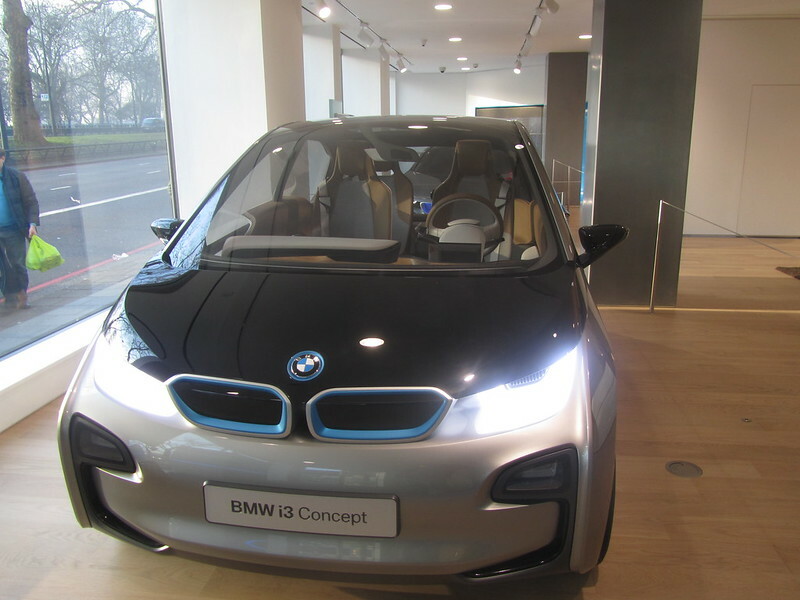 Their cost per kWh is also very expensive and they have a government that does not seem to be too friendly for the EV movement. 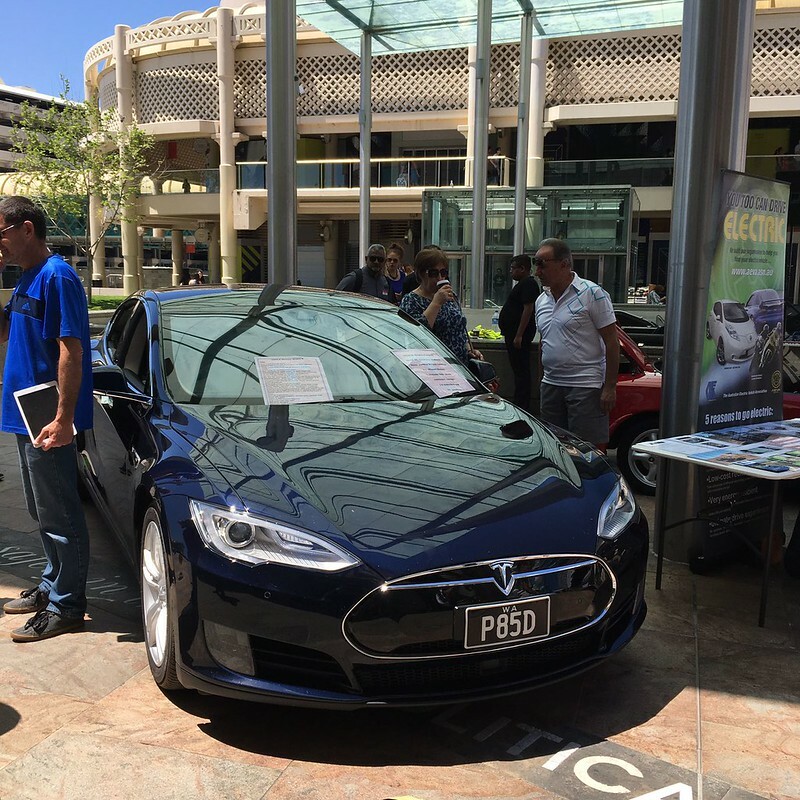 The reason that Tesla has focused its Tesla Energy sales to Australia and Germany has to do with their ability to compete against the utilities in Australia. 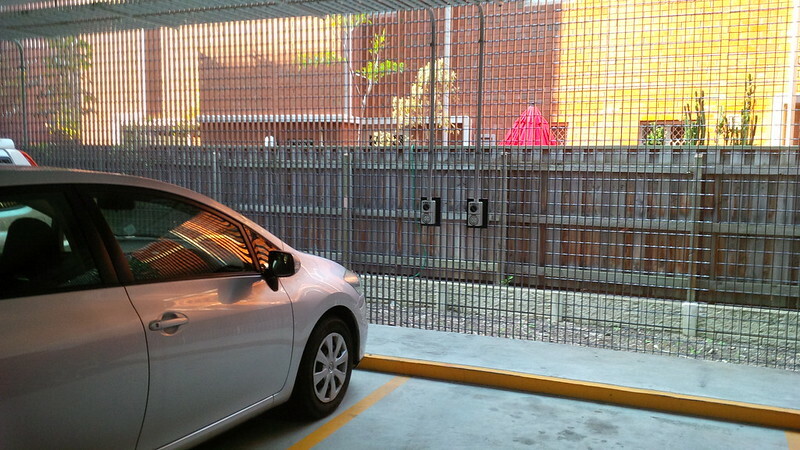 Solar and battery storage is “on par” with the cost of energy from the grid. 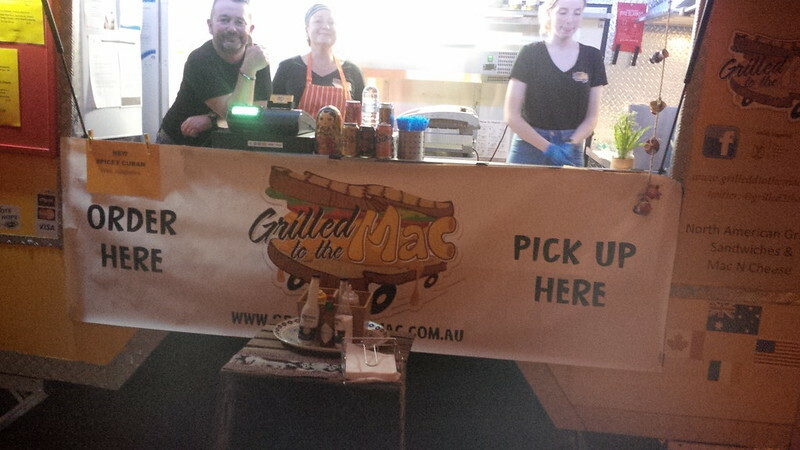 That being said, hats off to these rEVolutionaries in Australia that have decided to take the plunge without the help that many of us get from our government. 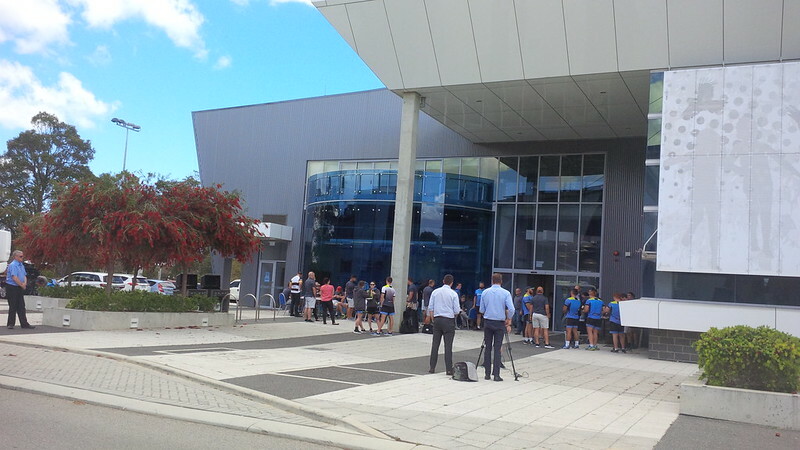 On our last day at Perth we went to King’s Park to take a great picture of the city from its vantage point. 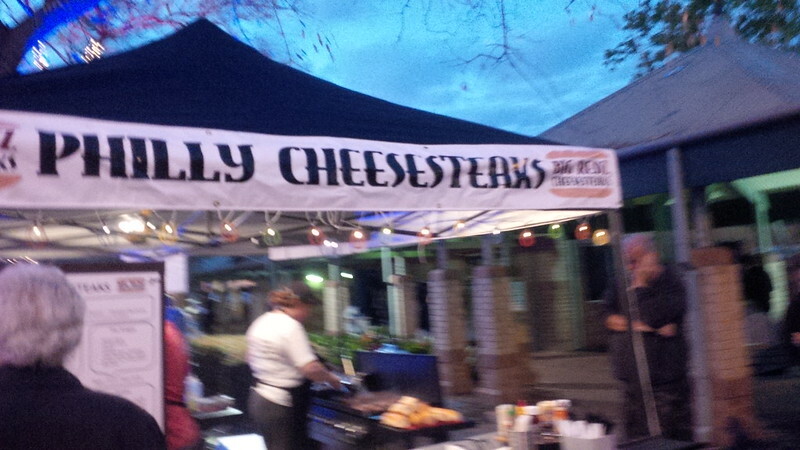 And on our last night, we enjoyed a night market before we headed off to fly back home. 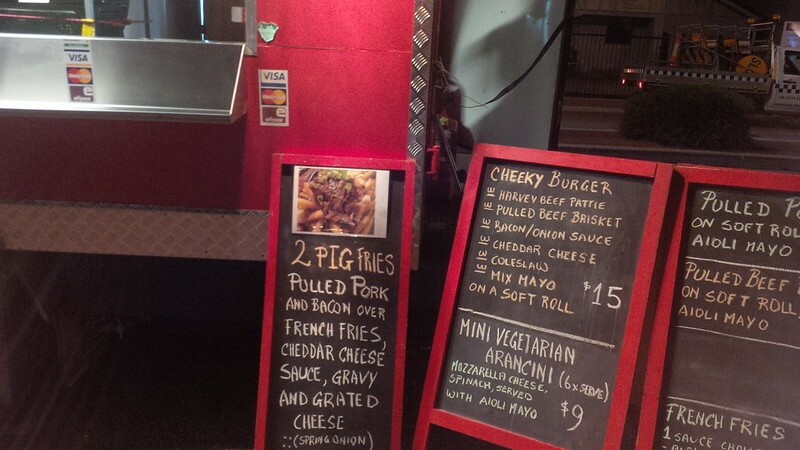 All sorts of cuisine and even American food. 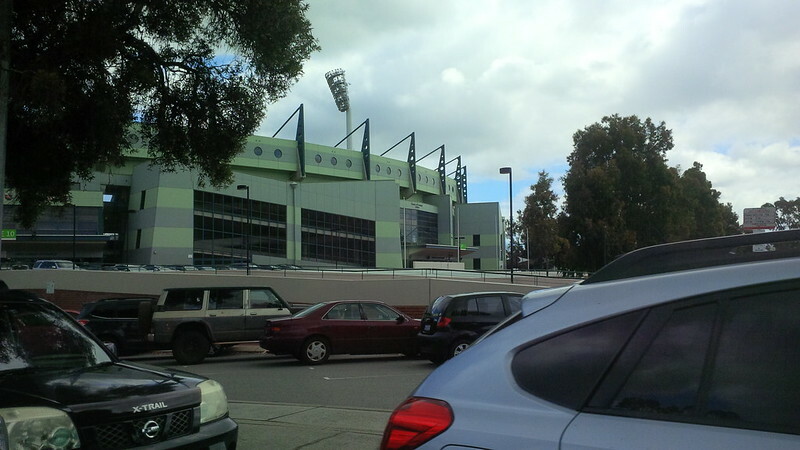 We enjoyed our visit and meeting with the local rEVolutionaries and discuss their challenges and triumphs as well as bring some of Australia’s, especially Western Australia (the “other WA State”) best home with us is another highlight. 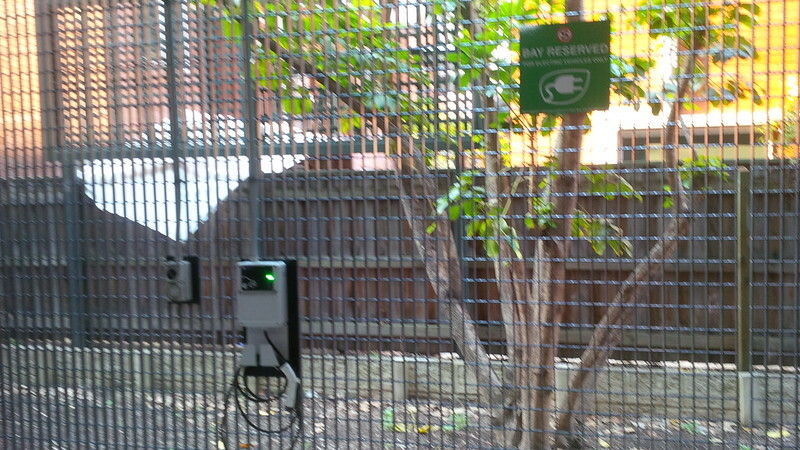 So, the next time you travel without your EV, you can always see if you can make it a visit with other rEVolutionaries. 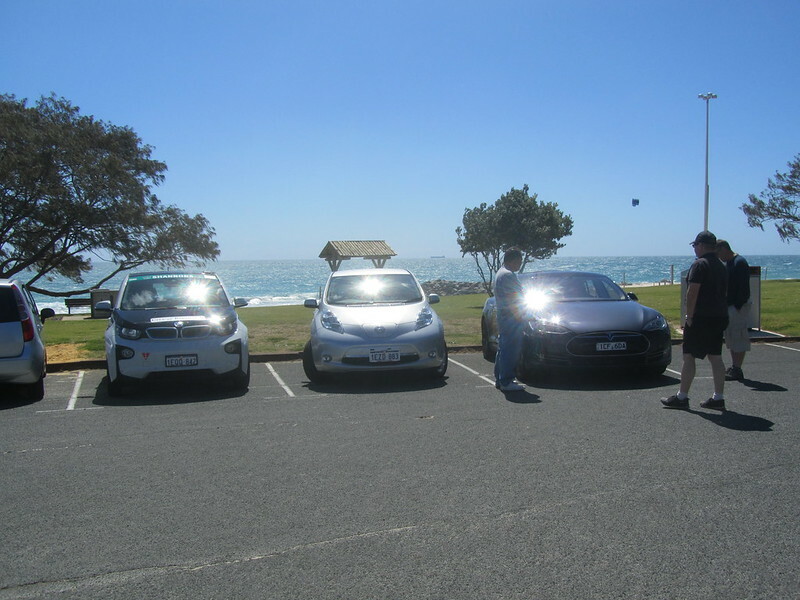 There are plenty of friendly EV folks out there.